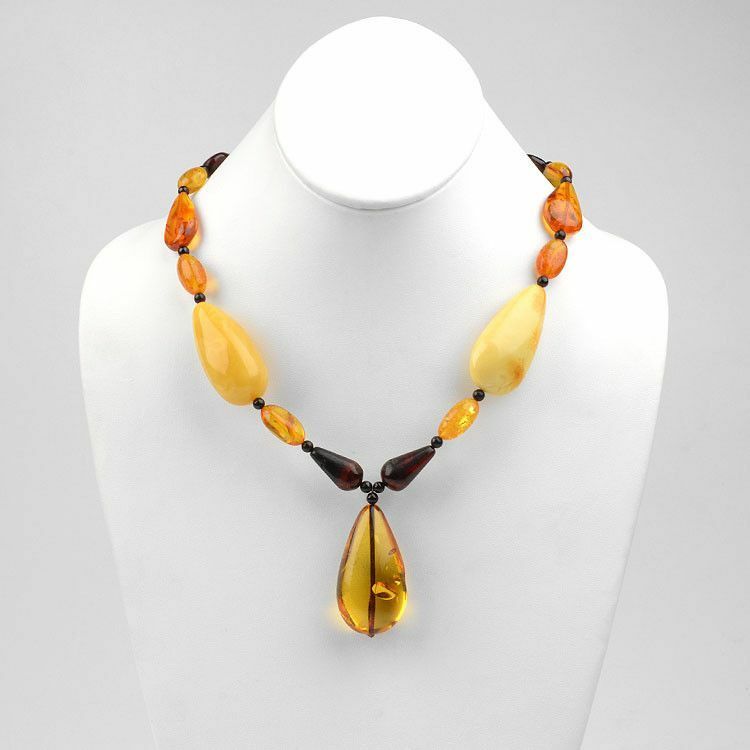 All the colors of this necklace will highlight your skin and add charisma to your looks. 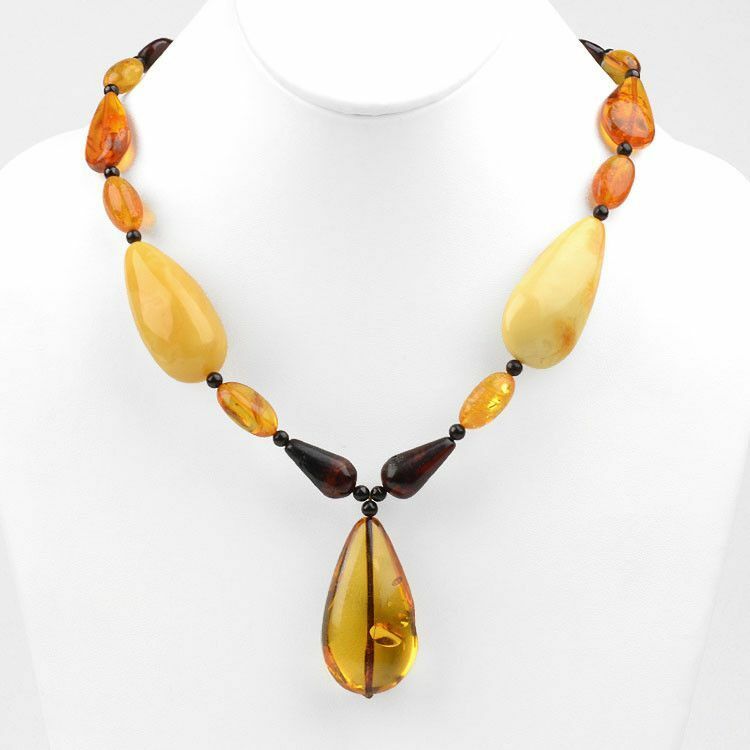 The colors are: butterscotch, honey, cognac, and cherry. 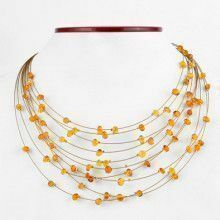 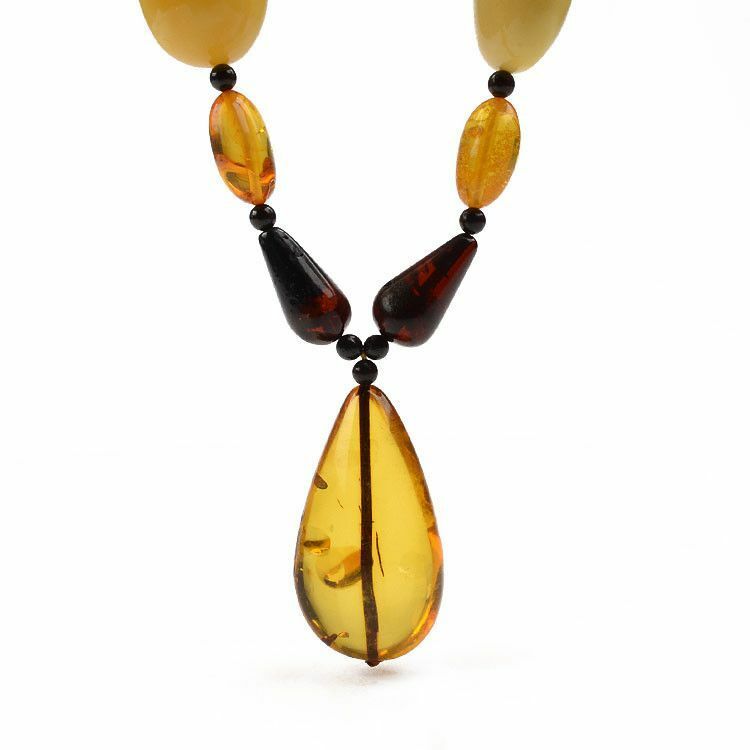 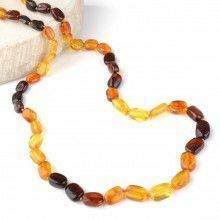 This necklace is made of a variety of teardrop shape highly polished amber pieces. 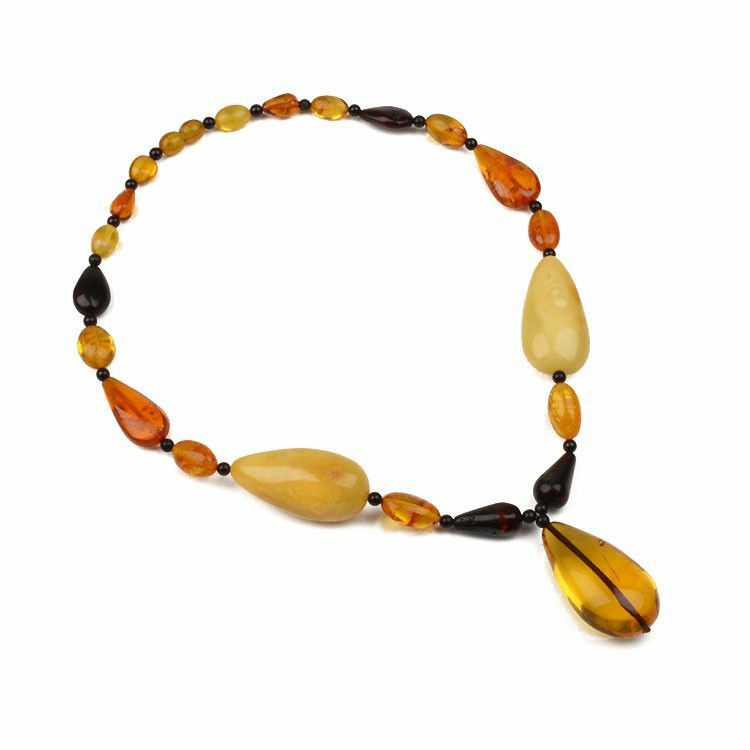 It is 20" long, but with center teardrop makes it 22". 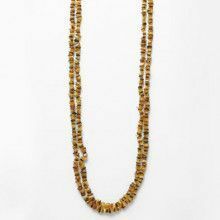 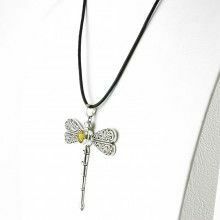 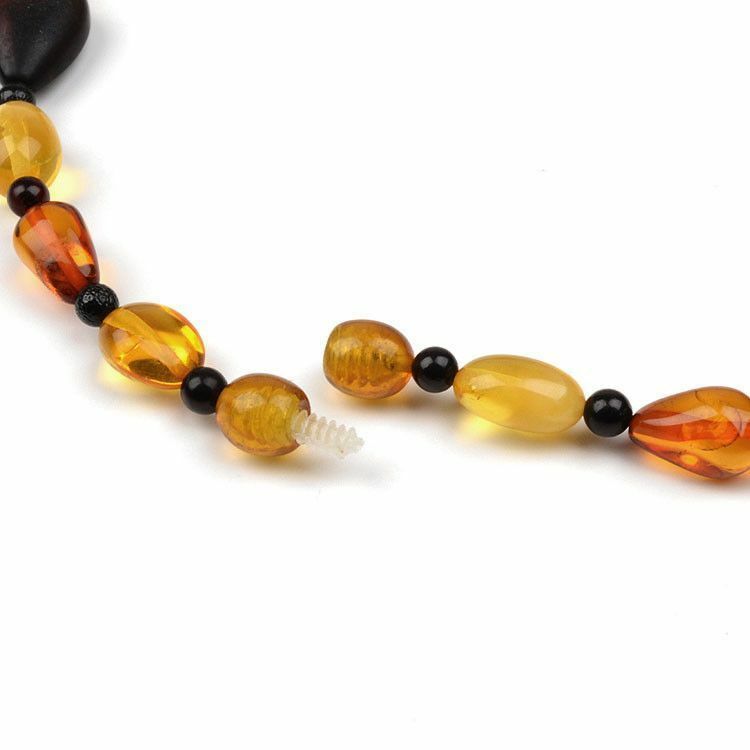 It has a barrel screw twist-in clasp, which blends with the rest of amber beads.